This combination of a brown coat and navy skinny jeans is simple, totaly stylish and oh-so-easy to replicate! 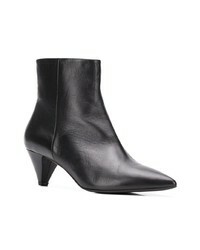 Round off with The Seller black leather ankle boots and off you go looking smart. If you're on the hunt for a casual yet absolutely chic outfit, marry a white cable sweater with burgundy skinny jeans. These two items are very comfortable and they also look great when paired together. 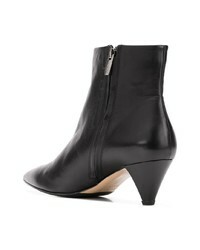 Bump up the cool of your outfit by finishing off with The Seller Pointed Ankle Boots from farfetch.com. This combo of a camel coat and black skinny jeans exudes comfort and efficiency and allows you to keep it low profile yet trendy. When it comes to footwear, this look is finished off nicely with black leather ankle boots. 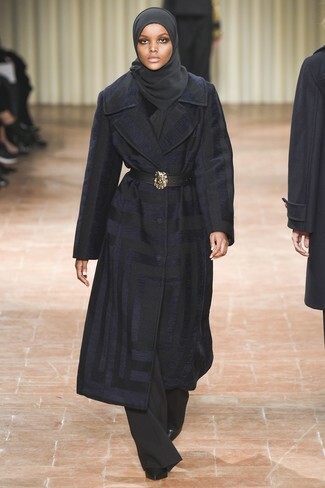 This combo of a navy coat and black wide leg pants is the ideal balance between classy and laid-back. 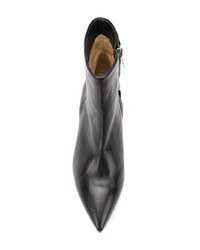 When it comes to footwear, this getup is round off wonderfully with The Seller Pointed Ankle Boots from farfetch.com. If you're obsessed with comfort dressing when it comes to fashion, you'll love this seriously stylish combination of a black and white varsity jacket and a blue denim button skirt. 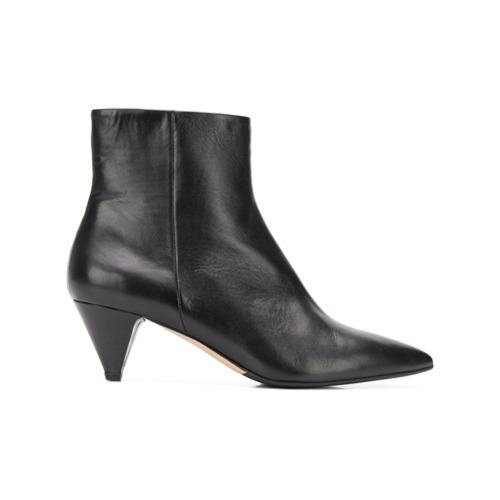 Up the ante of your outfit with black leather ankle boots. If you're on a mission for a casual yet totaly stylish ensemble, choose a beige coat and black skinny jeans. As well as very comfy, these two items look great paired together. When it comes to shoes, this ensemble is round off nicely with The Seller black leather ankle boots. Opt for a red button down blouse and mint skinny jeans for a standout ensemble. Complete this look with black leather ankle boots. If you're searching for a casual yet seriously stylish ensemble, pair a white puffer coat with black skinny jeans. As well as totally comfy, these two pieces look stunning paired together. Amp up the cool of your outfit by completing it with The Seller black leather ankle boots. 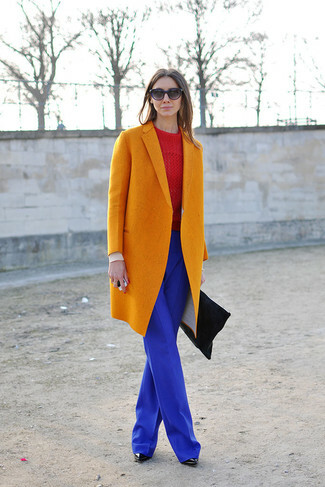 Reach for an orange coat and blue wide leg pants to achieve new levels in outfit coordination. Complement this look with black leather ankle boots.